Is ‘LinkedIn’ The New College Admissions Tool? As though applying to college wasn’t stressful enough for eager high school students, through the traditional high school transcript, letter of recommendations, personal statement, standardized test scores, and list of accomplishments, now there is a new tool being using for college admissions decisions. Some social media experts are actually encouraging high school seniors to create LinkedIn profiles in order to be seen by college admissions officers. It is considered the professional network, and therefore shows that the candidate is professional. If you have a LinkedIn profile, admissions officers will inevitably view your profile, says Katzman, the chief executive of Social Assurity, which helps high school students formulate academic profiles online. The company has actually advised people to provide a link to their LinkedIn profile on their college application. And although the power of LinkedIn and social media has yet to be concretely proved, Katzman feels very strongly about it’s power. Some schools from are even teaching their students online conduct skills to help prepare students for college and future careers. 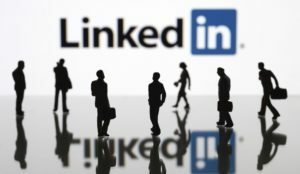 Many set up LinkedIn accounts hoping to enhance their image to colleges. Not only is this serving as a new tool for college admissions officers, but it also shows the extent of how social networks, such as LinkedIn have taken such a large role in today’s society. The stress and pressure is already high enough for high school students applying to college, and creating a LinkedIn profile might be becoming more of a stressor for children to start building their careers. It raises the question of whether or not this future focused mentality is the best thing for children. And furthermore, those that have the ability to create professional profiles even further creates economic gaps and inequality within college application. Inevitably, children who come from more wealth will have more opportunities to get assistance in building the most professional profiles, and as well will have more opportunities of experiences to add. In a sense, LinkedIn can be seen as a way to avoid admissions officers checking out student’s Facebook and Twitter profiles, which are often more geared towards their friends. Often hopeful students feel as though they have to censor their personal profiles in order to appear more professional to college admissions officers. Some students are even specifically tailoring their Instagram, Facebook and Twitter accounts to fit what they believe the college admissions officers are looking for. Matthew Martratt, a high school student hoping to get accepted to college says ‘’I did not make a LinkedIn profile for my friends, I made it to show people who don’t know who I am what I am about’’. Matratt took a LinkedIn course from Social Assurity, and followed the colleges he hoped to get into to, and posted about them on his LinkedIn and Twitter profiles. He also says ‘’It’s like sending them an invitation to look at my profile’’. A Kaplan survey shows that many college admissions officers do in fact check out social media pages, while some colleges claim to prefer to evaluate applications merely based on the information they were given. It seems as though LinkedIn is aware of this, as they dropped their minimum required age to create a profile in 2013 by 4 years, however the company will not release how many high school student users they have. 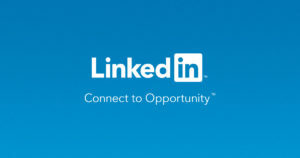 Due to privacy issues, LinkedIn has default privacy settings for users under the age of 18, however students can change the settings themselves. And therefore it is encouraged in LinkedIn courses to be careful about what you post and be aware that everything is visible to everyone. This push towards using a more digital approach may seem concerning, and as though schools are more interested in teaching social media skills, rather than a more broad world view. However, it seems as though this is what our society is about today. And LinkedIn truly is the new college admissions tool.